Wednesday (Oct. 16) at 6:30 AM, rain or shine, The Rise will be gathering at Bethesda Fountain in Central Park. This is a #FitFlashMob so find your way to Bethesda Fountain any way you can. Running and biking are strongly encouraged. Do whatever it takes to JUST SHOW UP. The plan? A 30 minute core body workout that will pump you up! Your old friends pushups and situps will definitely be there. But who else might drop in for a surprise visit? Squat jumps? Magic Mikes? Stair sprints? Burpees? Fountain swims? We were here a month ago and it was insane. Come find out why early morning workouts are the best way to start the day. No matter how fit or unfit you think you are this is a workout that anybody can do. 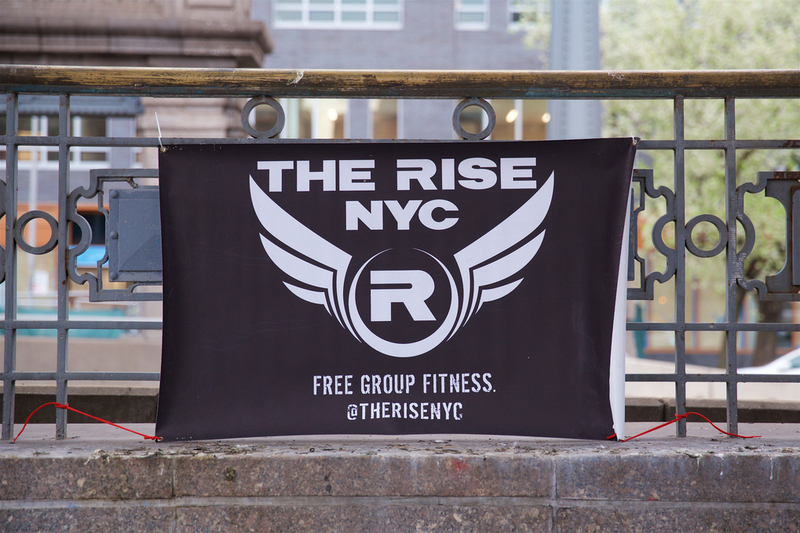 It will be challenging, but push yourself with us and see why working out with The Rise is one of the most motivating exercise options in NYC. The most direct access to Bethesda Fountain is the 72nd Street Entrance to Central Park. See you there!